We have written a lot about process here on Fondly, Pennsylvania to let you know what projects we have in the works, but I realized that we have not kept up with telling everyone what we’ve completed. 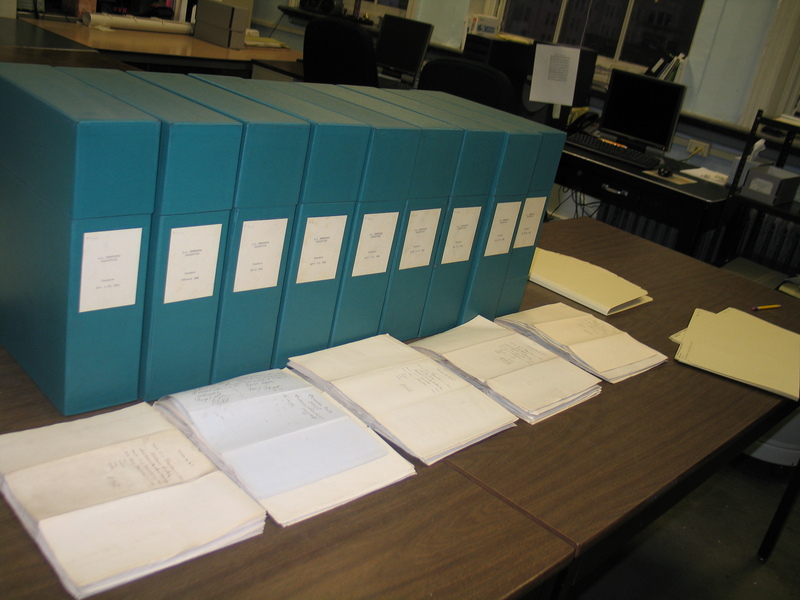 There are 51 collections included in the Digital Center for Americana project, and at this point, 22 collections have been processed, conserved and digitized (in part). 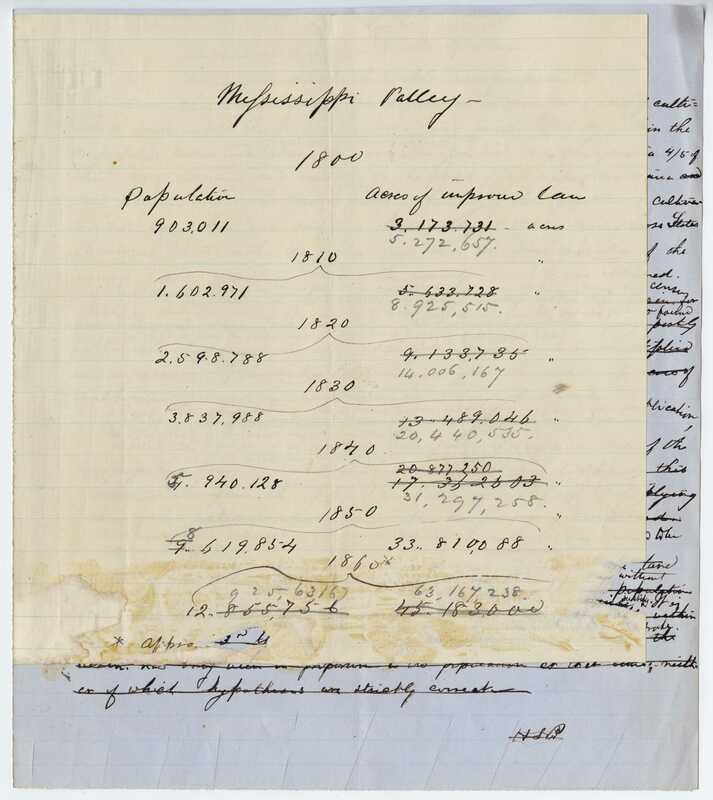 I thought I’d share a list of those collections as a way to celebrate our accomplishments, and to give interested readers the opportunity to peruse our new finding aids and descriptions. Finding aids are now available for the John Rutter Brooke papers (Collection 78) and the Andrew Atkinson Humphreys papers (Collection 304). 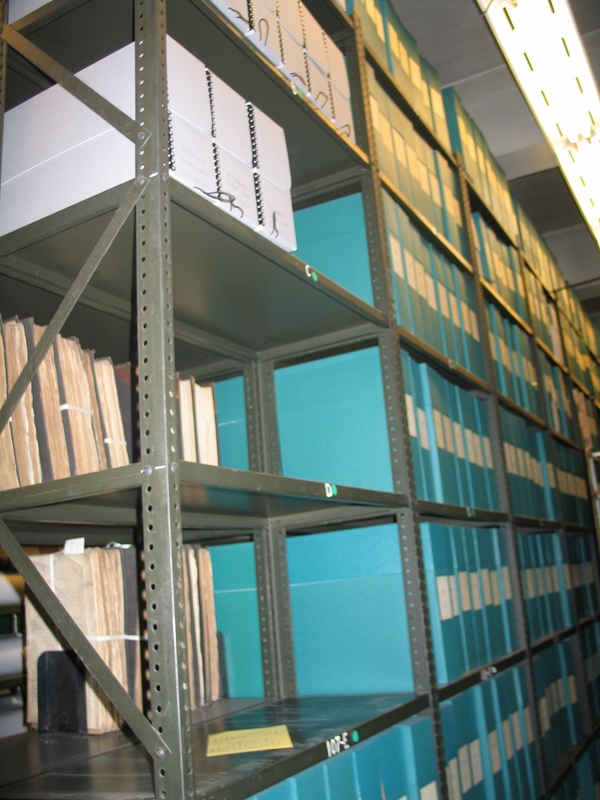 Finding aids and descriptions will soon be available for the rest of the newly processed materials, and we’ll keep updating you about our progress on the Digital Center project. 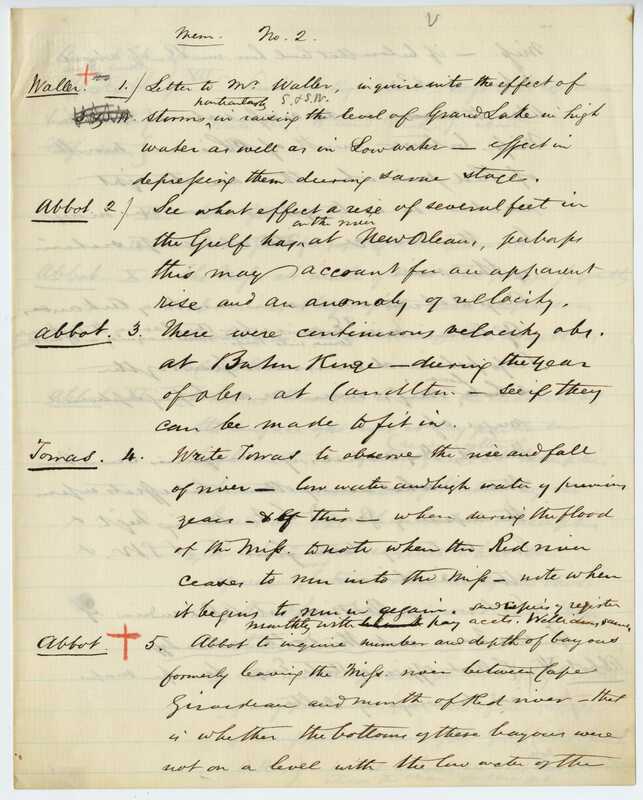 One of the remarkable components of the A.A. Humphreys papers is the documentation of the surveys the U.S. 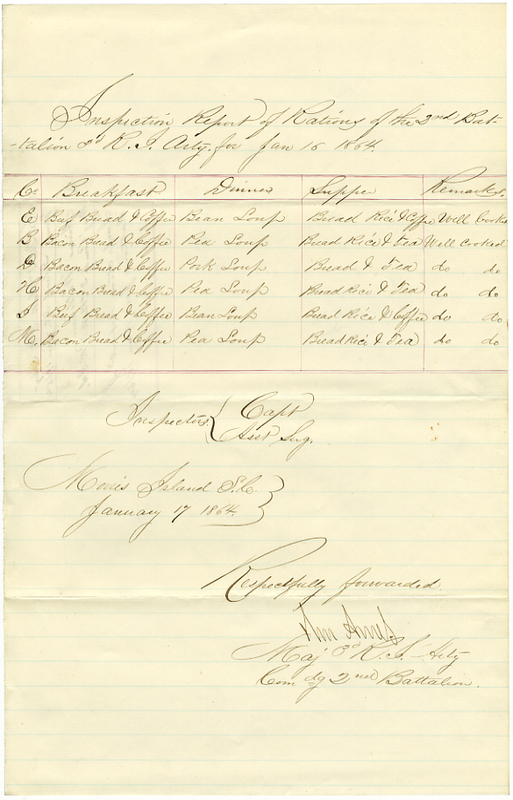 Corps of Topographical Engineers conducted during the 1850s and 1860s. These surveys were done in response to repeated flooding along the Mississippi Delta. Humphreys was appointed head of a team to make recommendations about how to remedy the flooding problem. 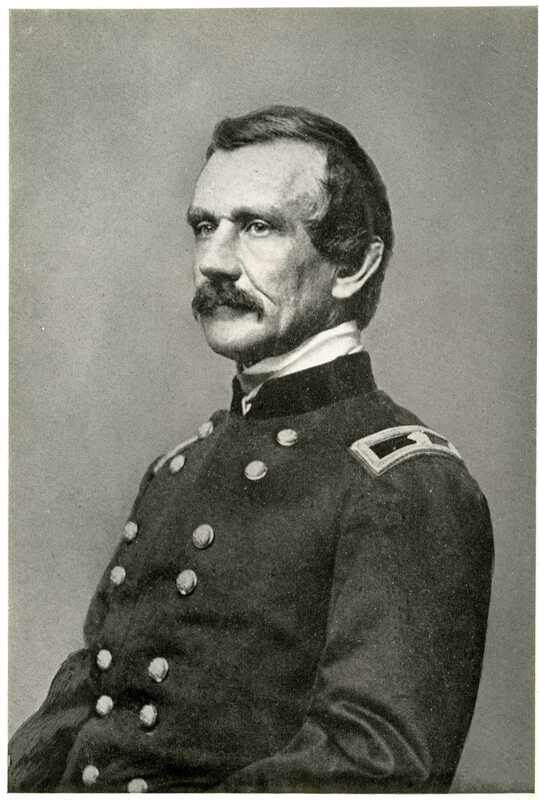 He and his assistant, Henry L. Abbot, spent many months along the River assessing the viability of the levee system. They published two voluminous reports on the matter–Report on the Mississippi River (1861) and Report upon the Physics and Hydraulics of the Mississippi River; upon the protection of the alluvial region against overflow (1861). 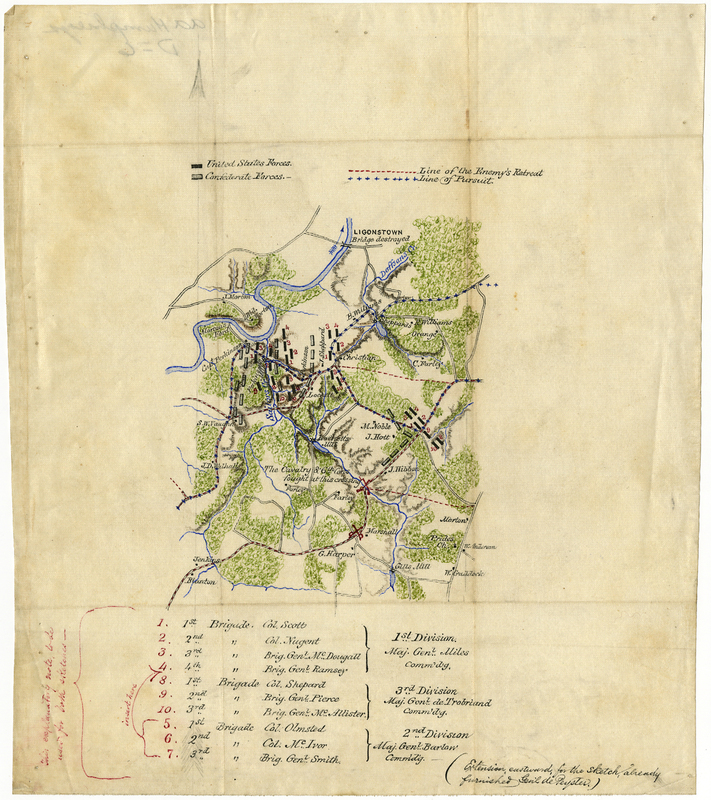 Both of these reports offered studies of the rise and fall of the Mississippi and its tributaries, and provide background about the geographical structures and physical features of the land. They describe their methodology for the conduct of the survey, and illustrate the text with tables detailing ratios between velocities, gauge readings, discharge per second, and other technical data. 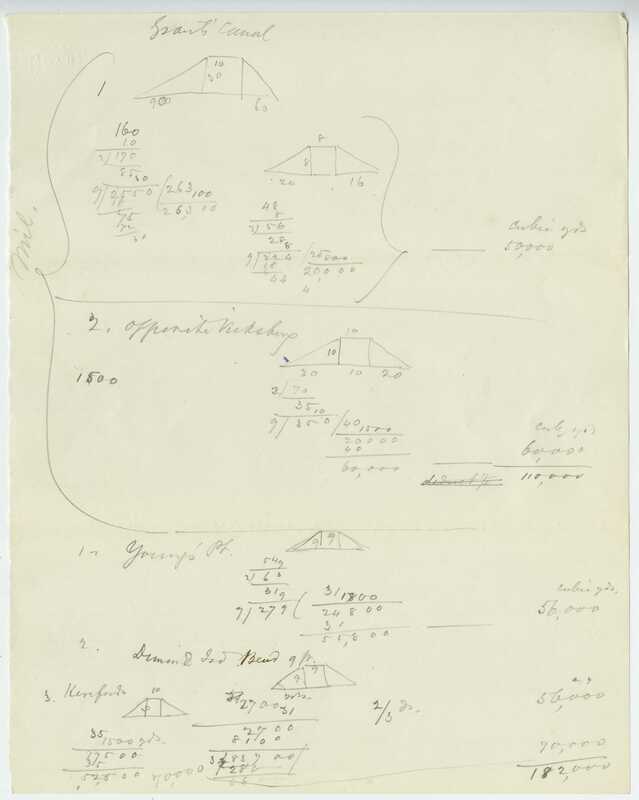 Their correspondence innumerates the difficulties of the survey–including the challenges of weather conditions, illness, and the differences of opinion on the value of building up the levees or creating jetties. I was truly riveted by these documents–the level of sophistication of their science, the earnestness of their engineering perspective, how firm their ideas that they could “fix” nature to conform to human desires. I am amazed by the ways that the modernist view of the natural world permeated everything in the early days of industrialization and mechanization. I look at the results of this belief that we can form and mold nature into what we desire, remembering the destruction caused by the failure of the levee system holding back Lake Pontchartrain and other areas along the Mississippi during Hurricane Katrina. I certainly can’t blame A.A. Humphreys and Henry L. Abbot for their spirit of innovation. I have just been reflecting on the ways that we humans often think that our actions have no impact. Holding back walls of water is a tricky business, as evidenced by the depth of study necessary to repair the levees in the 1860s. 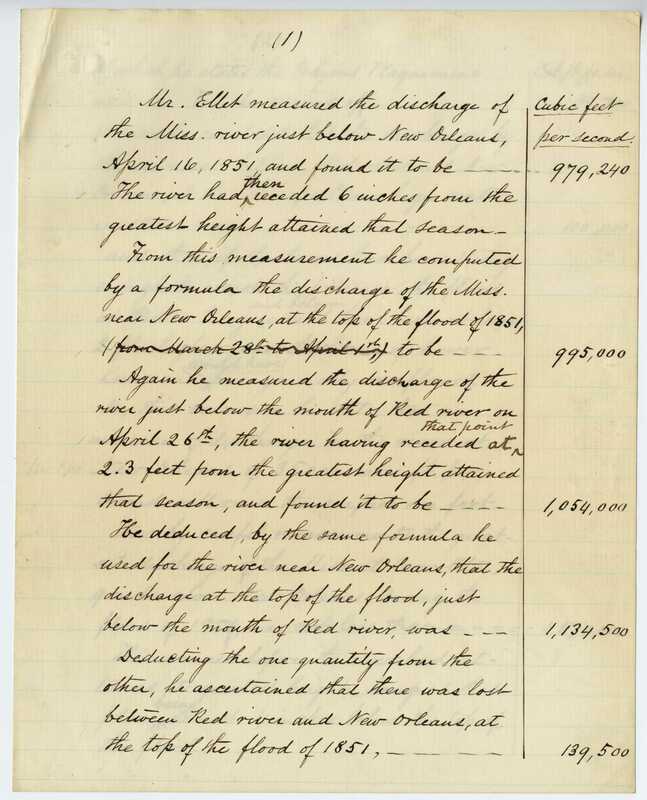 My personal views aside, this is a fantastic collection of documentation about the Mississippi River surveys done by the Army Corps of Engineers in the 1850s and 1860s. I am excited that these documents will soon be much more accessible than they were just three months ago. I hope to have the finding aid for the collection posted in the next few weeks. What are you eating there, soldier? 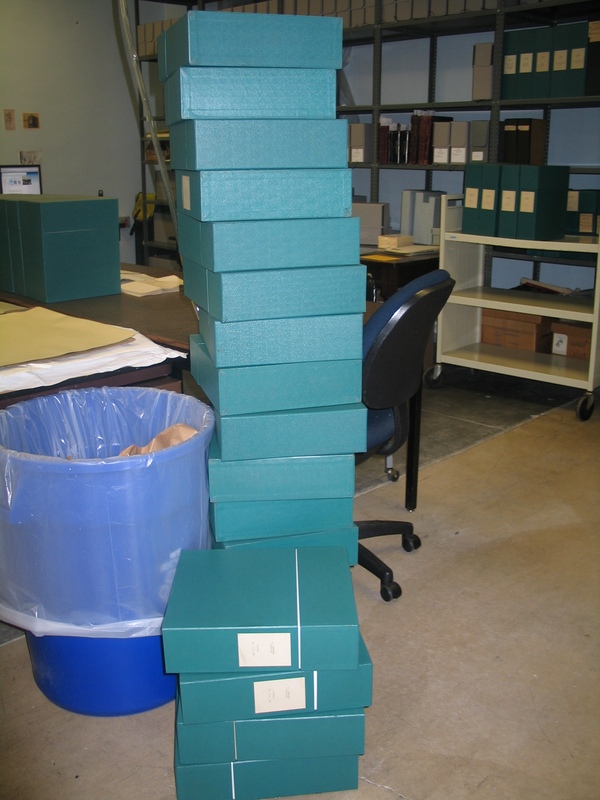 The longer I work processing manuscript collections, the more I realize that it is not the big events in these materials that get me excited, but the texture and circumstances of people’s lives and how they integrated monumental events into their everyday. I love sifting through old receipts to see what people were buying, what they ate, and how much they spent. I like to read their letters to each other about major events, and see how those events impacted them. I enjoy looking at these collections to get a sense of the people who created them, and when I don’t get that sense, the collection feels rather lifeless–as if they are the papers of some dead person instead of a person who once had vibrant life experiences. Thankfully, the collections I have worked with that relate to the lives of Civil War soldiers have given me a sense of that vibrancy, that living struggle each person experienced in time and space. I was processing the manuscript for William McCarter’s memoir My Life in the Army, a text rich with the details of the every day, and what struck me in all of the eleven slim volumes was the desperation that these soldiers lived with during intense battles. The conditions were terrible–in many cases truly unlivable–and the soldiers spent time foraging for food in shifts because of the lack of food rations in the field. 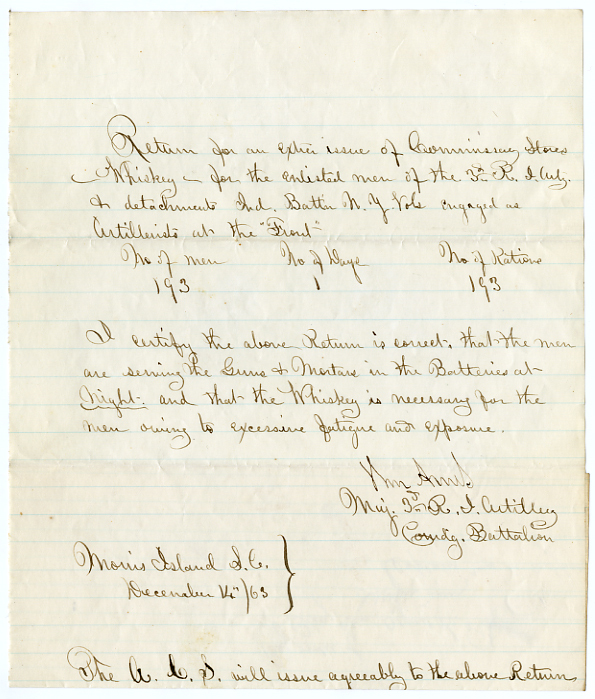 McCarter writes, in a backward glance at his service, about the hunger he and his fellow soldiers struggled against. McCarter goes on to describe the fights that broke out after too many whiskey rations were consumed, and then the desperate desire for coffee to warm them through the cold night. The Andrew Atkinson Humphreys papers are full of orders for food and whiskey rations for officers and for general consumption by troops. One aspect of these orders that interested me was the rationale for the whiskey rations. They were used to keep troops warm and to help them get through long nights of service on the front. These men were positioned behind guns, and the whiskey was given to combat “excessive fatigue and exposure.” Looking at this reasoning from a modern perspective, it seems rather a bad idea to give men with guns whiskey, but this was the era of whiskey as medicine. 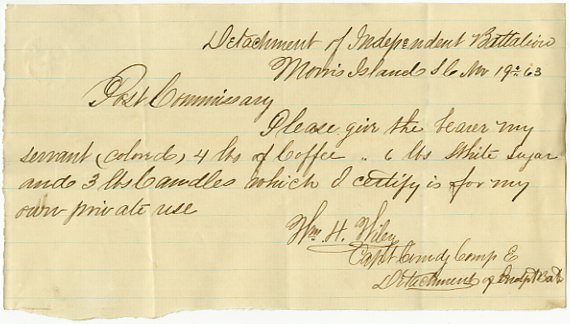 Other papers in the Humphreys collection document the quality control efforts that were made in regard to food rations. Camps were inspected and evaluated for the quality and preparation of the food troops were served. 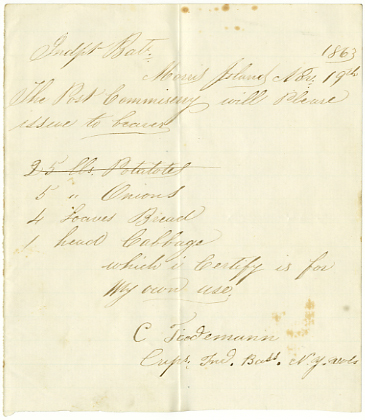 In this example, we can see what the troops ate for breakfast lunch and dinner, as well as the rating of the preparation. McCarter’s narrative memoir of life in the service offers candid evaluations of the food served to the soldiers in various camps. He marvels at the skill of some cooks and wonders at the greasy, deplorable rations that are offered as food in other cases. 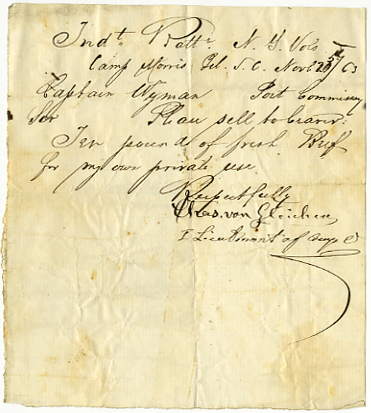 He writes, as do many who kept Civil War diaries, about foraging expeditions. In one case, he describes stealing a pig and roasting it in the ground, its skin encased in mud, which resulted in the tenderest meat he had ever eaten. After many days of sighing loudly at the number of Civil War payment vouchers I was going to have to rehouse, I happily discovered that my pace rapidly improved with a little Billy Bragg playing in the background. I got through about ten linear feet today.